We aim to improve the lives of people affected by mental illness through the rapid translation of high quality research into improved clinical treatments, increased accessibility to mental health services and delivery of long-term public health solutions. Our unique approach incorporates clinical services with our cutting-edge research, our health professional training and community education programs. We combine expertise in clinical management with innovative research to develop new, and more effective strategies for people living with mental illness. 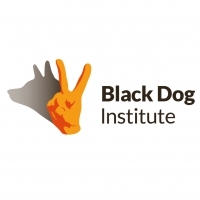 We also place emphasis on teaching people to recognise the symptoms of poor mental health in themselves and others, as well as providing them with the right psychological tools to hold the black dog at bay. We work directly in all parts of the community as well as guiding the development of new and improved policy. We place focus on those with specific mental health needs like young people, Indigenous communities, men, and high-risk workforces. Our primary areas of mental health research and treatment include: depression, bipolar disorder, post-traumatic stress disorder (PTSD), anxiety, workplace mental health, adolescents and young people, suicide prevention, e-mental health, and positive psychology and wellbeing. regular online assessment of patients’ symptoms with alerts and treatment recommendations to the GP, if the patient deteriorates, fails to improve, or indicates suicidal ideation. Improve collaboration among State agencies across health, mental health, and human services to deliver person-centred care at the local level. Encourage flexibility and innovation and shared accountability for outcomes. Achieve financial savings by reducing duplication of services and ensuring better service prioritisation and efficiencies. Additionally the service aims to strengthen early intervention, provide a stronger focus on community care through GPs and primary care, to develop a responsive system that provides monitoring and ‘stepping up’, integrating care across agencies, and importantly, building a better system by evaluation and testing of new models, using best practice implementation science. Professor Helen Christensen is Director & Chief Scientist of the Black Dog Institute, a Professor of Mental Health at the University of New South Wales and an NHMRC John Cade Fellow. She is the Chief Investigator for the NHMRC Centre for Research Excellence in Suicide Prevention (CRESP), established in 2012 at the Black Dog Institute, a member of the Academy of Social Sciences Australia, Fellow of the Australian Academy of Health and Medical Science and the immediate past President of the International Society for Research in Internet Interventions. The focus of her research is on the translation of research into health services and policies. Clear examples of her translational impact have been the development of e health web interventions, such as MoodGYM, which led to changes in Commonwealth policy and funding around the ‘teleweb measure’.